Any ideas on why this is happening. Haha, that would fit in with the news here lately. OK, I have a "fix" workaround. 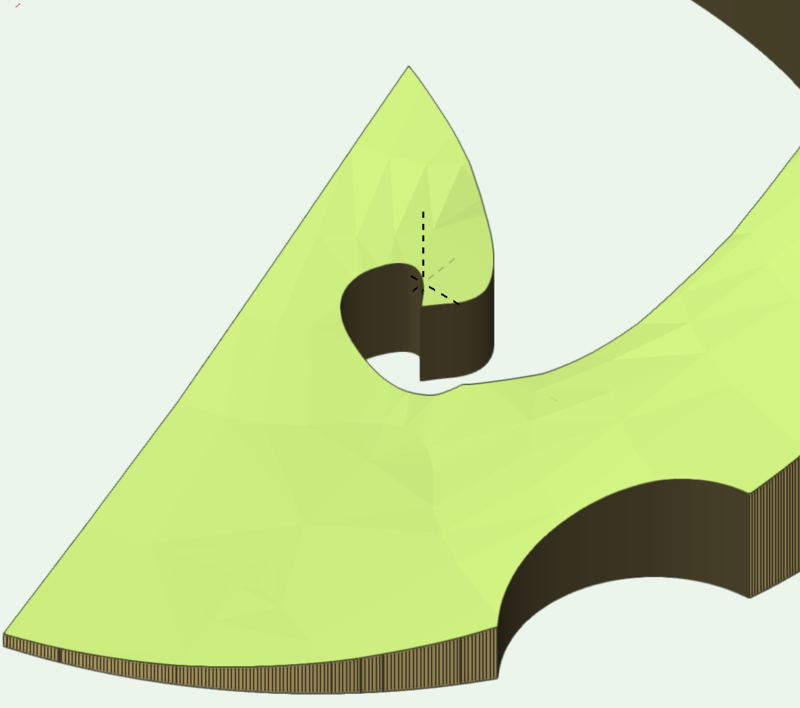 It's same problem as the clipped or bridged contours. The surface mesh is connecting points that should not be connected. Solution is similar, but inconvenient. I tried to induce the problem by making a crop with enclosed areas. Make a copy of the 2d crop object and paste it on a design layer. 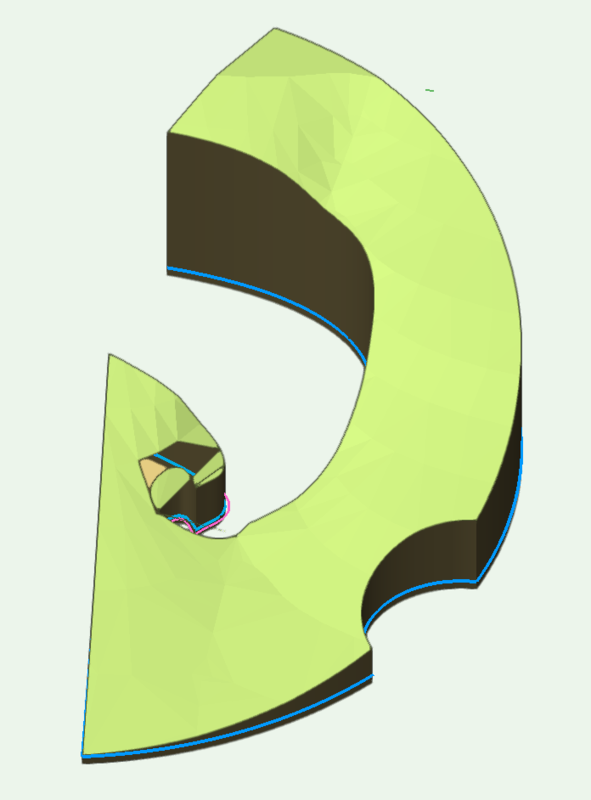 Offset this segment of the poly to outside of crop by a small distance. I used about .25 of minor contour interval. Offset to the inside doesn't seem to solve the bridging. Send to surface. 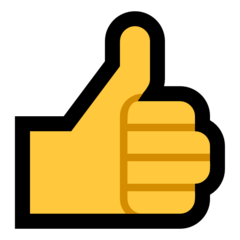 This seems to work even on the cropped version of the site model, but if needed, send to surface of an uncropped version of the site model. This creates a group containing a 3d poly (or maybe several 3d polys). Ungroup (or Edit the Group), and Copy the resulting 3d poly(s). Enter the Edit Site Model Source Data. Paste in Place into the Site Model Source Data. Exit the source data space. Update the site model. 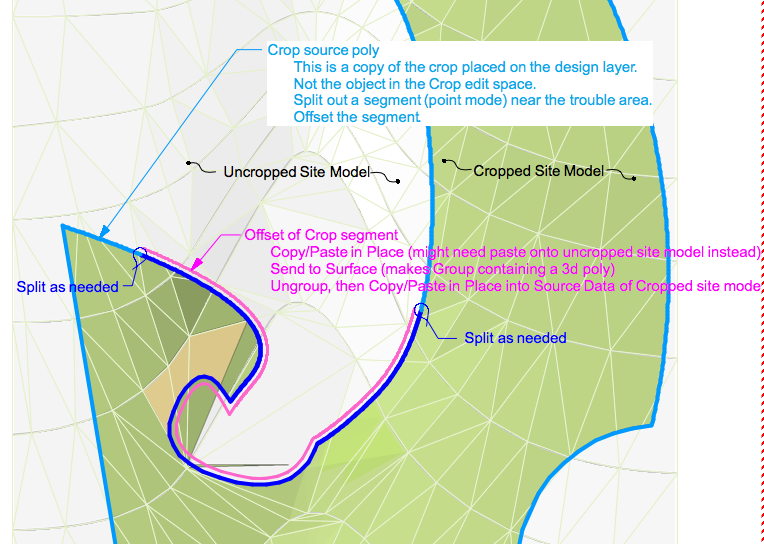 Note that if the site model was moved x,y from creation location, the edit crop and source data spaces retain the original positions. Some guide objects may be needed to align the pasted objects.